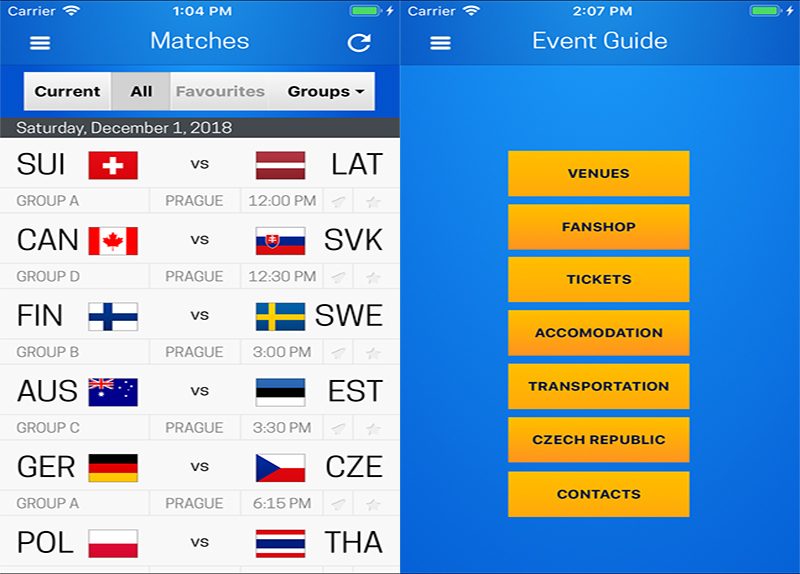 The IFF Events Mobile App for World Floorball Championships 2018 is now launched for iOS and Android. Visit the app Event Guide to find all you need to know about the spectacular WFC 2018! Get all the WFC results, stats, news and YouTube live matches directly to your iOS or Android device! Guess the WFC results, collect points and win UNIHOC prizes! Start by selecting your favourite teams and get social by sharing the game actions or your result tips on Facebook or Twitter. > Get social and share your tips, teams and results on social media. UNIHOC guess the WFC results competition - launched soon! The best WFC 2018 results guesser will win a UNIHOC prize. This feature will be launched in November (when the final rosters are published). You can then start guessing by clicking on the matches and choose guess. - Top 3 UNIHOC guessers with same amount of points will be ranked by most 3p guesses (correct final score) & 2p guesses (correct winner & goal difference).